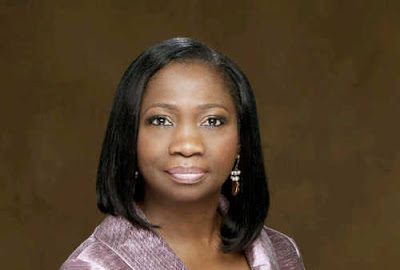 Nigerian born and raised videographer Biola Matesu, who is the creative director of MALEKFOTO Films and MALEKFOTO Weddings, is a two-time Emmy Award Winner and a two-time TELLY Award Winner. Biola, based in Dallas, picked up the camera in the year 2000 and just a few weeks ago won two Emmys at the 2018 awards ceremony. In this interview, he reveals the journey to earning this laudable career-changing recognition by the Academy Awards for excellence in television in America. What inspired your career in photography? A friend, a model at the time gifted me a camera in the year 2000. I took this camera and played with it and realized over time that my images were different. Where I developed my films, the staff said he always looked forward to my work. He advised I take my work to one of the colleges and talk one of the Professors, so I did. What was the response from the college Professor you visited? I went to a community college then and met the professor who looked at the work. He said, “You have something. A lot of us go to school and learn the technicalities but you seem to have a natural eye. I think you should pursue it.” As a creative, his positive feedback ministered to me so I started chasing photography more. So, I started developing skills in composition and in the understanding of light. You had a photography project in 2014. What was it about? I took a trip to different countries in Africa in 2004. I began a photography project on HIV, poverty and children. I did a couple of solo exhibitions in Abuja and Lagos. These exhibitions were tied to HIV/ AIDS awareness initiatives in these states. Although I got good images, I started getting frustrated. The images didn’t tell the whole story. I quickly realized that I was a storyteller and I needed a medium to effectively tell stories. Was this inspiration for starting up MALEKFOTO Films? Yes, it was. In 2010, I started seriously thinking of video and because I like things being done well and being a force at whatever I did, I knew that video was my preferred medium even though it was expensive. I knew I had to build a team because, with video, you can’t do it by yourself; you get burnt out really quick. I started looking for personnel and also started acquiring certain types of equipment. You are best known for your coverage of high-end weddings. What inspired that? In 2016, we began MalekFoto Weddings. We shoot very high-end weddings. We started with the idea that we want to be the best that we can be, not necessarily competing with anyone. We thought we had to consistently produce the most amazing content that we can. We started out just with thinking about it, processing it and executing to the best of our abilities. The journey towards the EMMYs, how did it begin? The journey towards the Emmy’s began four years ago. It started with a conversation with my friend TY Bello. She attended WPPI (Wedding & Portrait Photographers International) in Las Vegas and some filmmaker won an award. She said the people who won had really good work and that my work was equally as good. She asked why I haven’t sent an entry to such platforms. That if you don’t enter, you can’t win. And that really resonated with me. So, I started looking for the right material for entry. We found this one. A short film we did titled – Inner Conflict. A member of my team told us of his friend who was a boxer. He went along to tell me us that his mother had been diagnosed with Cancer and that got my attention real quick because my mum died of cancer when I was 17. I told my team member that we have to shoot this boxer as soon as possible. A few weeks later, his mum past away, he had a title fight before him and also had a baby on the way. I thought that was a good story and an award-winning content if we do it well. So we decided to shoot it the best way we know how we submitted it to the EMMY and a couple of months later we got a notification that we were nominated for three categories- cinematography, editing and directing. We went for the show and we won for editing and cinematography. The feeling changes from day to day; it is one of the most amazing feelings. First, we have started talking about doing some more work that would put us in this position again. It’s a big deal but then creating is an addiction, especially if you are a true creative. You just want to keep creating because it is how you express yourself. Did you feel you brought it home for your country as well? Oh yeah, absolutely, I was born here in Lagos and grew up in Lagos. So I identify with Nigeria regardless of where I am in the world. We are a rich people in culture, in the understanding of whom we are and where we are trying to go. So I see that in my outlook, I also see that in the heritage. I wanted to win on many levels; I wanted people to know that you can do anything if you put your mind to it. To let young people in business know that it doesn’t cost you anything to dream and if you dream it and work towards that dream or belief, you can attain any height. What role did having a vision board play in this success story? If you Google vision board, you see all sorts of pictures on a board. That is unnecessary. All you need is one picture because, with vision, it helps when you can laser focus. I had one image on my vision board. It was a picture of a man holding an Emmy and looking at it. I had this vision board for six months before we did the project. You only need one thing to look at. I would talk to myself and say things like “I am a winner, I am the recipient of the 2018 Emmy Awards”, and every time a thought of doubt came along, I will respond, “I am winning, I have the capacity to win”. I just respond. “ I am not going to give up on this vision. I am winning”. Why did winning mean so much to you? If we didn’t win, it would be just fine. This was the second time we were entering for the EMMYs. No one enters anything to lose, even in life. For me, it wasn’t competing with anyone. It was about winning against me. I want to be better than I was last year, so the battle is internal. I don’t like being stagnant. I have a need to make progress and to always move forward. What has changed from that night winning the EMMY trophies? First is, you will always be an Emmy Award winner. My mindset has also changed, so we have to produce work to the standard of this title. Everything that we do now has to represent this title that we have been given. Even the clients that we work with, those have to change. Our fees would have to change because now we would have to do more and strive to be on top always. In 5 Bullet points, what would be your advice to winning the highest recognition at anything you do? Dream and dream big. It doesn’t cost you anything to dream. Believe in who you are and what you are capable of doing. 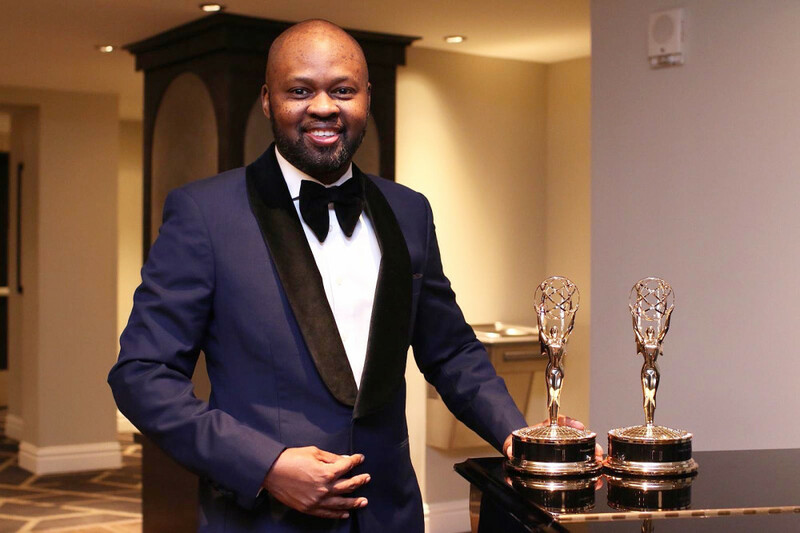 The post Meet Biola Matesu, the Nigerian Videographer who has two EMMYs under his Belt appeared first on BellaNaija – Nigeria breaking & top news to the World 24/7. Read Today.